This post marks the final entry in our end of year "favorite games" series. We've talked about a bunch of awesome projects that you can read about here, here, and here. But today's not about all of that stuff, it's about our friends whose games can't be experienced for free. That's right, the games accountants say have "traditional monetization models." Read on for sad robots, sad cats, and happy aliens. When I was younger I never understood the phrase “You can’t go home.” I thought, “That’s ridiculous, you get in a car or a plane and go visit the place you grew up.” But as you grow in another place, everyone at home grows without you. Night in the Woods is a game full of intimate human moments but the one that affected me the most was a short conversation between the protagonist Mae and her mother about a store in town that had closed down. I still remember when I came home and my parents had to tell me that my favorite sandwich shop --a place I had grown up in-- had closed. Mae reacts the same way I did, in a mix of confusion, loss, and annoyance. This is where Night in the Woods thrives. Sure there are plotlines about murder and classism but there are quiet moments in between these major plot beats, these routines that most games would ignore that become the heart of the whole experience and Night in the Woods is better for it. I sincerely hope that 2017 is the beginning of sad robots in gaming. At their best they force us to look at what makes us human, and Localhost does this masterfully. The premise here is unique: You’re a tech support specialist who has the unique task of convincing humanoid supercomputers to voluntarily shut down forever. What follows is a shockingly human drama that asks what it means to be alive. There are no explosions here, this isn’t a game that plays on the screen but one that plays inside of you. Localhost is also a monstrously difficult game to talk about. 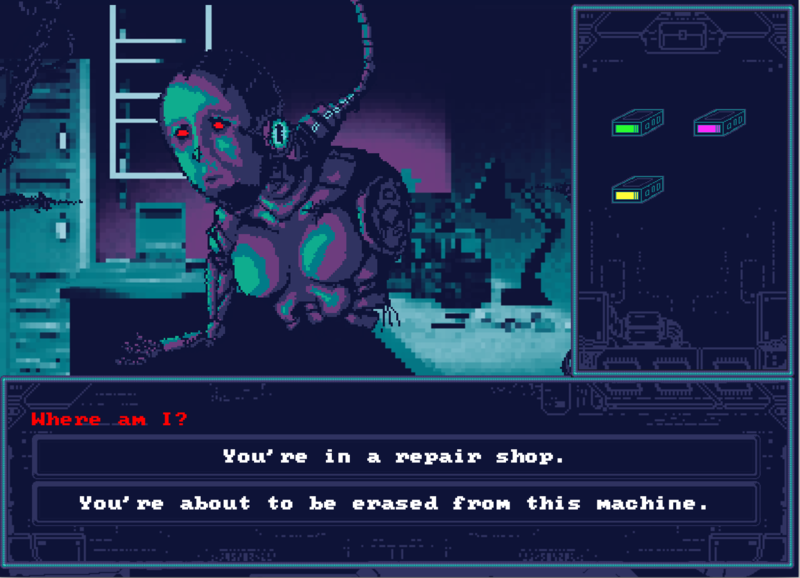 Selling someone on a nuanced tale of robotics and how it makes you feel is a gamble but there’s a haunting story that inspires reflection even months after you play it. 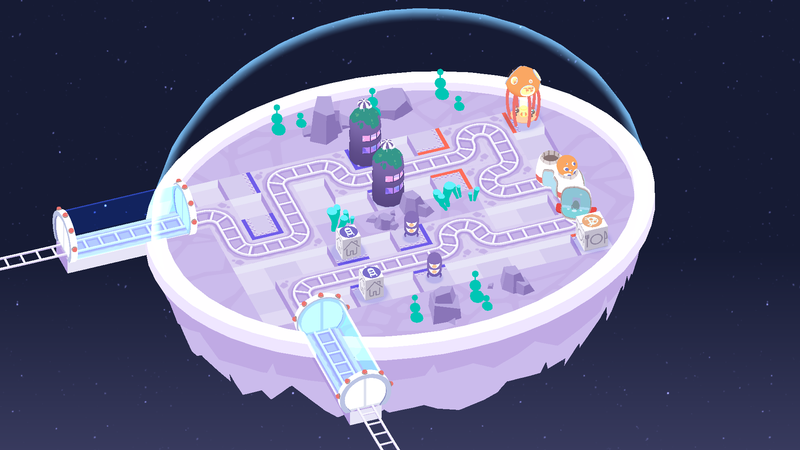 Cosmic Express is a game that forces its way into your head and grabs your attention even while you’re not playing it. Its awkward railway planning starts simply but later becomes an infuriating obsession in which you draw squiggly train tracks in your mind before bed. Or at least that’s what happened to me. There’s a quiet kind of brilliance to Cosmic Express (and all of Draknek’s games) that eases you in and suckers you into feeling smart right before it smashes your self-esteem to bits. Everything in the game from its stage design to deliberately restrained mechanics asks you to feel safe only to throw a puzzle-knife in between your ribs. But Cosmic Express isn’t cruel. It’s a game that knows exactly who its audience is and acts with such a clear purpose that it’s hard not to envy the effortless quality present in its design. If you’re even remotely interested in puzzles or want to see tasteful design in action, you could do a lot worse than Cosmic Express. We’re all going to die. We all know it, but for some reason we’ve decided that everything ends at death. In some ways this is true but this is the idea that Mortician’s Tale positions itself to critique. Morticians’ Tale is the story of the people who clean up after us when we’re gone, the silent workers in an industry we willfully ignore. The game itself is more than just a message, it’s also a beautiful and personal exploration into how games can deal with death in ways other than dealing it from the barrel of a gun. The writing is terse and haunting yet surprisingly optimistic given the subject matter, and keeps the game from devolving into a sermon. 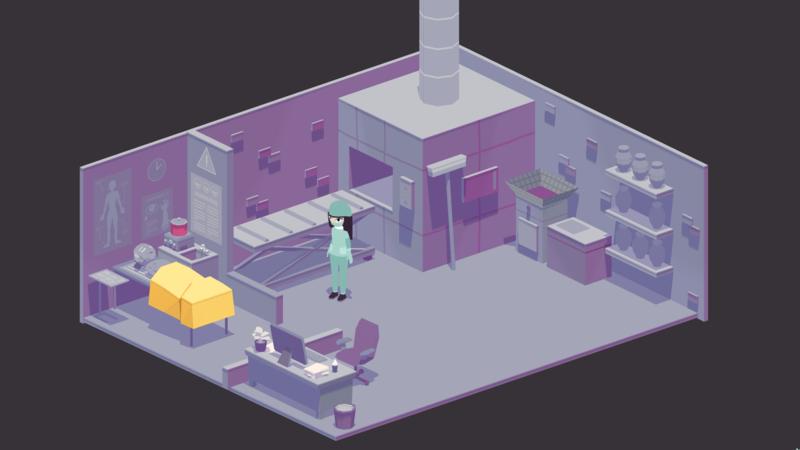 Mortician’s Tale forced me to think about death in a more personal and human way by looking at what happens after we pass. And for that, I can’t recommend it highly enough.